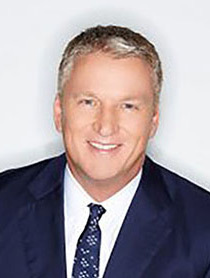 Bill Brand has joined Carnival Corporation as SVP & Chief Retail Officer. In this newly-created role, Bill will be responsible for reimagining travel retail across all nine of their cruise companies. With more than 12 million annual passengers, it is a unique opportunity to develop a direct-to-consumer strategy that builds brand engagement and accelerates retail sales pre, during and post cruise. Bill is also charged with developing new strategic relationships and licensing opportunities. Bill previously served as President of HSN and the Chief Marketing Officer at HSNi a $3.4 billion direct-to-consumer retail portfolio. Brand has been a transformational leader in the media, retail and entertainment industries for 25 years. Prior to HSNi, he served as Senior Vice President of Reality Programming at Lifetime in Los Angeles, and Vice President, Programming and Production, VH1 in New York. Brand joined HSN in 2006 and has been instrumental in transforming the company into a lifestyle network. Brand’s comprehensive entertainment integration strategy has leveraged revolutionary partnerships with Univision, Disney, Universal, Sony, and Paramount studios. Brand specializes in building strategic partnerships that create meaningful content that drive the business. He has created successful alliances with global companies such as Toyota, Coca-Cola, and Norwegian Cruise Lines. Since 2014, Brand’s responsibilities at HSNi have expanded to include ecommerce & retail innovation strategies, video commerce, partnerships, corporate communications and creative development across all platforms, including developing key talent, all of which have contributed to new programming concepts, retail storytelling devices and customer loyalty strategies. In 2013, HSN posted unprecedented customer growth and a total customer file that is now at record levels. Brand developed HSNi Cares, the philanthropic arm of the company. He is on the Board of Directors for the National Retail Federation Foundation and the GRMA Advisory Board.